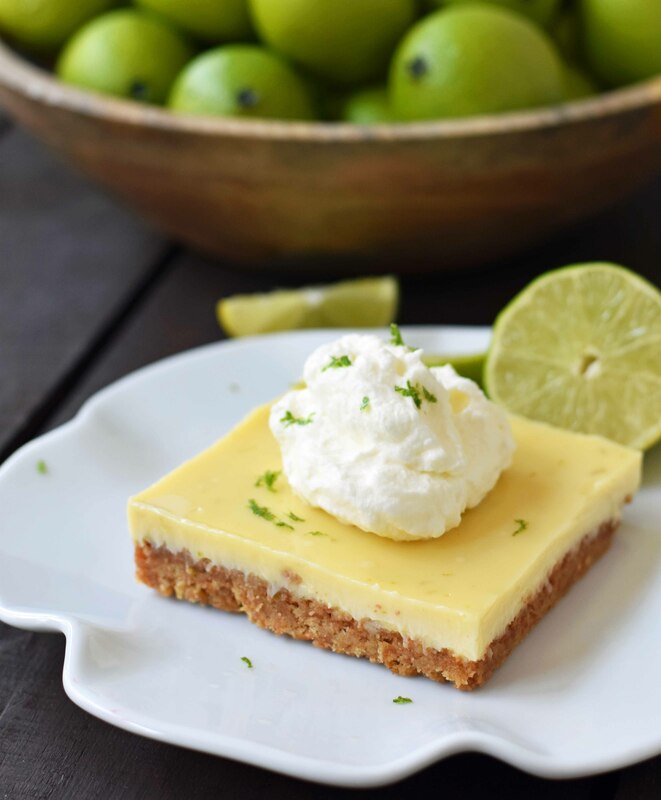 Key Lime Bars made with a buttery graham cracker crust, a sweet creamy lime filling made with sweetened condensed milk and cream, and topped with fresh whipped cream. Oh my word. 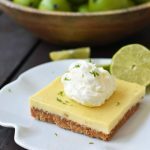 These Key Lime Pie Bars with Graham Cracker Crust are one of the best dessert bars I have ever eaten. I kid you not. I am so excited to share this recipe with you! 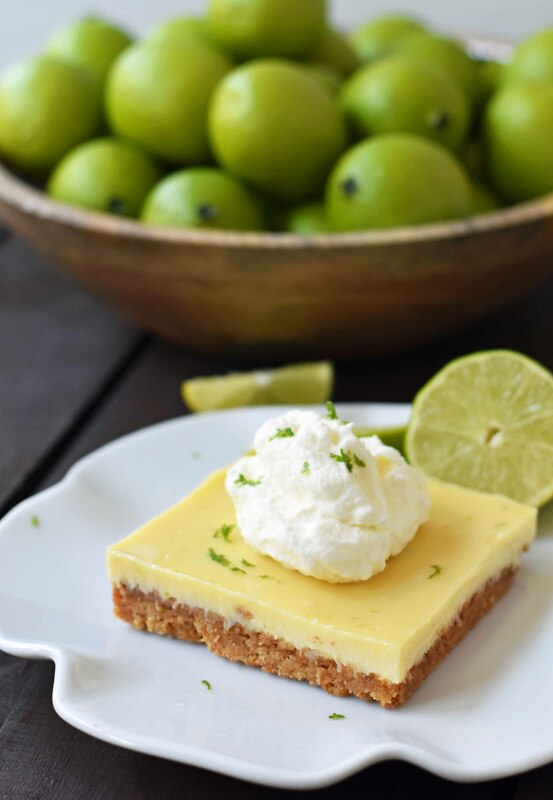 This Key Lime Pie Bars recipe creates a sweet yet tart and creamy smooth lime bar. If you are a lemon or lime fan, you are going to LOVE these bars. My Grandma Faye was the kindest woman on the planet. I was that kid who begged to go stay at her Grandma’s house. I would sit in the back of the station wagon as we made the trek up the mountain to her home. I loved spending the night at her house because she made us feel so loved and important and I just enjoyed being around her. Since I was the only girl in our home, my Mom and I would meet her to go shopping all of the time. She was always there to help me to pick out the perfect dress or first date outfit. Oh how I miss her! Whenever I make something lemon or lime, I think of my Grandma Faye because she was known for her phenomenal pies. When we stayed at her house, she would always make us some delectable dessert. It usually involved some kind of citrus and I developed a deep love for it. These Key Lime Pie Squares remind me of her. 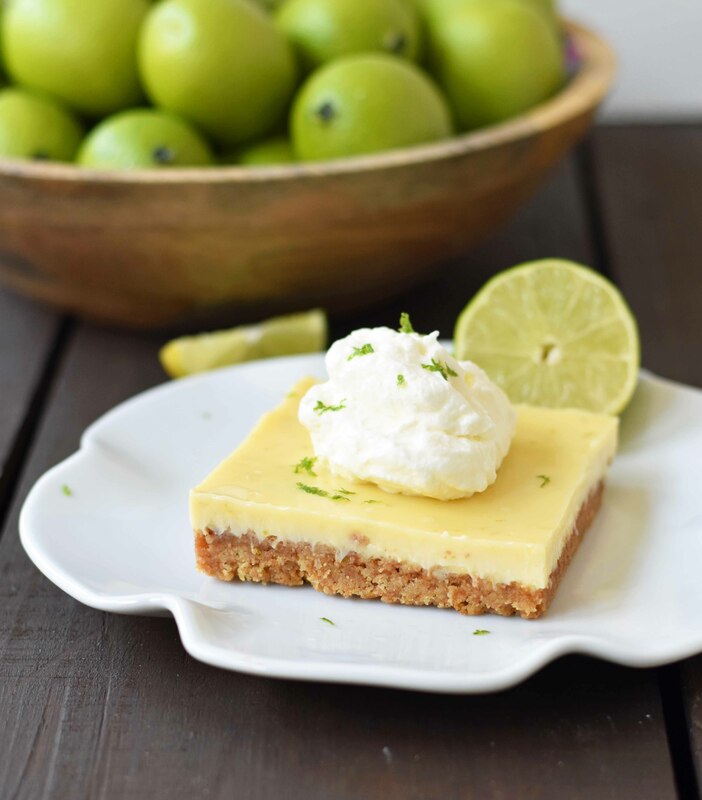 These Key Lime Bars are made with a buttery graham cracker crust which is the perfect balance to the sweet and tart creamy filling. The lime cream pie filling is made with heavy cream, egg yolks, lime zest, lime juice, and sweetened condensed milk. Are you kidding me? How can you go wrong? That is downright heavenly! Get me a spoon….stat! The key to making these Key Lime Cream Pie Bars extra creamy and delicious is to bake them in a water bath. Say what? Why is it important to use a water bath when making key lime bars? 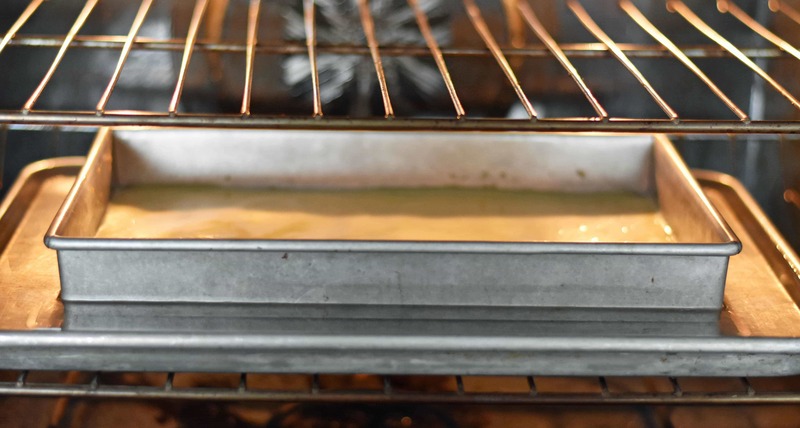 A water bath is when you fill a large pan with water and then place the smaller baking pan inside so the water comes up about halfway up the pan. Why is a water bath important? It adds moisture to the oven which is important with creamy custards that tend to crack from the heat of the oven. It also helps to create a creamy texture rather than a rubbery one. What pan should I use to make key lime bars? I used this 9 x 13 pan but if you want a thicker bar, you can use this 9-inch square pan. 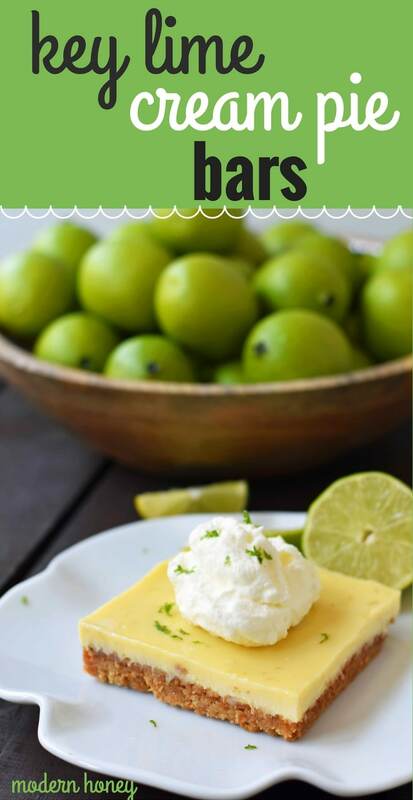 These Key Lime Cream Pies are one of my favorite dessert bar recipes of all time and are the perfect dessert to take to a potluck, party, or shower. They are always such a hit with everyone! 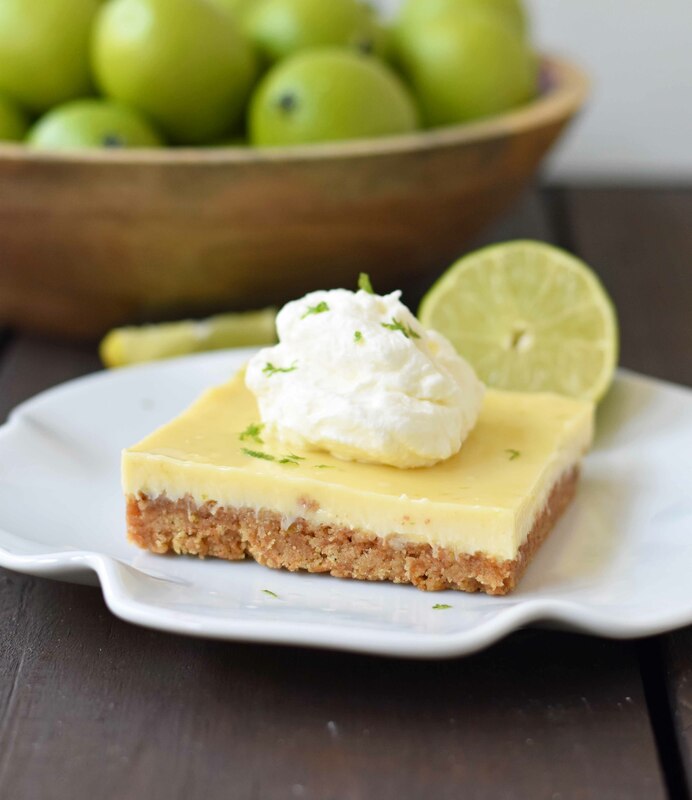 Key Lime Cream Pie Bars are made with a buttery graham cracker crust and a sweet yet tart creamy filling. Preheat oven to 350 degrees. Lightly spray a 9 x 13 pan with non-stick cooking spray. If you want a thicker bar, use a 9-inch square pan. To make the graham cracker crust: in a medium bowl, combine graham cracker crumbs, melted butter, and sugar. Press the graham cracker mixture firmly into baking pan. Firmly press down with hands. Bake the crust for 7-8 minutes or until lightly golden. Let cool. Turn oven temperature down to 325 degrees. To make the filling: whisk together sweetened condensed milk, heavy cream, egg yolks, lime juice, and 2 teaspoons lime zest -- reserving 1 teaspoon of lime zest for garnish. Pour filling over cooled crust. Place the baking pan into a large pan to make a water bath. Pour enough water into the larger pan to come halfway up the sides of the smaller baking pan. Bake for 19-24 minutes at 325 degrees. The filling is done when it no longer jiggles in the center. Remove from water bath and set it on a rack to cool for 1 hour, then refrigerator until chilled. To make whipped cream: Beat whipping cream until soft peaks form. Add desired powdered sugar and whip for 30 seconds longer. 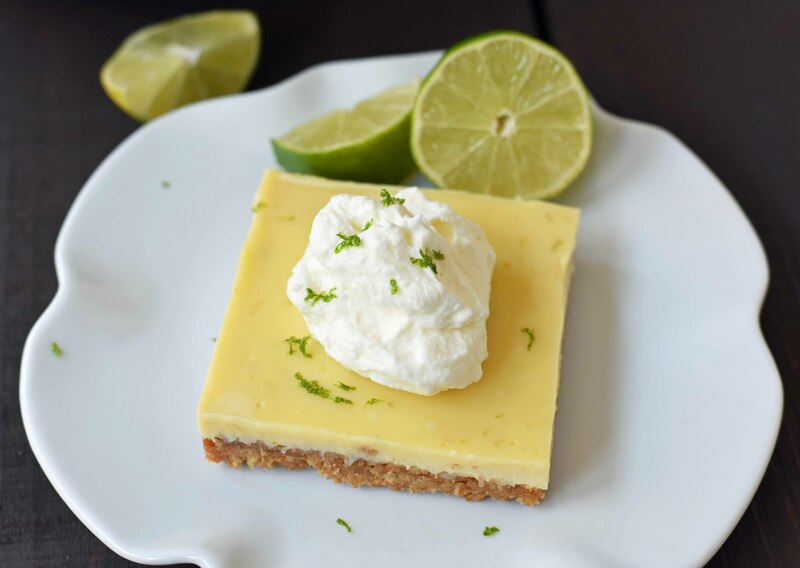 Cut the bars into squares and serve chilled with a dollop of whipped cream and fresh lime zest. I made these for our Easter dinner dessert…Delicious!! These are my husbands new favorite! Thanks for this fabulous recipe!